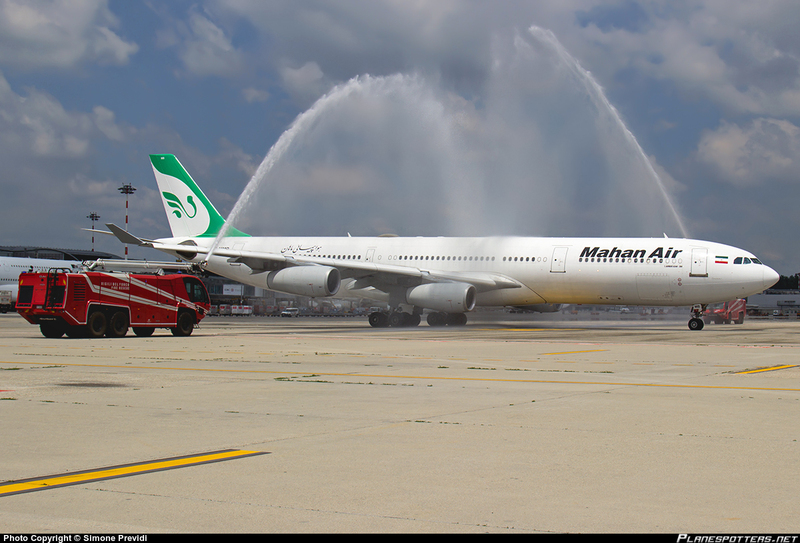 Mahan Air Airbus A340-642, reg. EP-MMR (cn 416) has recently been operating flights to Milan–Malpensa Airport (MXP) and Shanghai Pudong International Airport (PVG). 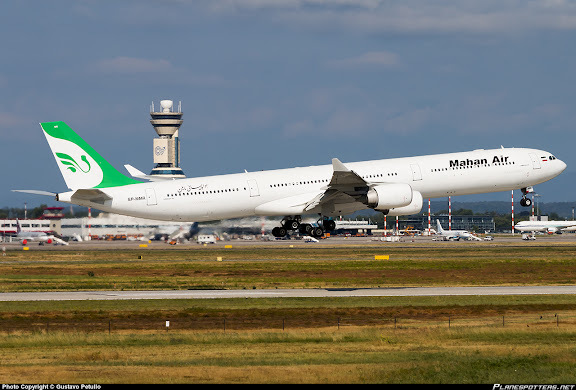 EP-MMR is one of nine Airbus aircraft recently obtained by Mahan Air with Iraqi assistance, circumventing U.S. sanctions in effect against the airline for assisting IRGC-QF in support of Lebanese Hezbollah and the Syrian Arab Republic, as well as MODAFL and IAIO. With the signing of JCPOA, U.S. sanctions against these recently obtained Mahan Air aircraft appear effectively suspended. Mahan Air... started twice-weekly (Wednesdays and Saturdays) flights from its Tehran Imam Khomeini (IKA) hub to Milan Malpensa (MXP) on 17 June – its 54th global destination. Although the inaugural service was operated by one of the carrier’s A340s, the service is intended to be flown by its A310 fleet. 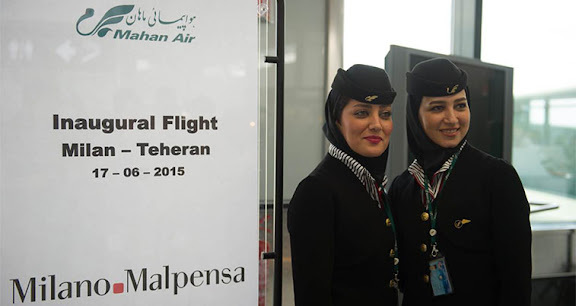 Iran Air will provide the only direct competition on the 3,711-kilometre airport pair, also flying twice-weekly on the route. The sector becomes Mahan Air’s seventh into Europe, and closely follows the start of services to Munich earlier this summer.